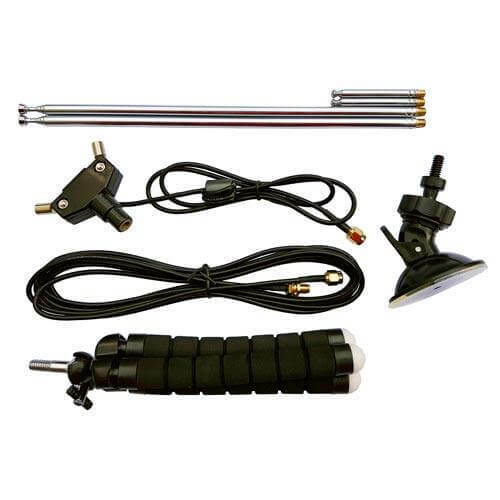 This portable Dipole antenna set includes a mounting kit and allows you to more easily get the antenna up high and outside significantly improved reception. The dipole base mounts onto a standard 1/4″ camera screw, so can be mounted on to a variety of already available mounts. Included is a flexible tripod and suction cup mount. Designed for portable and temporary outside usage. Do not use outside during poor weather conditions.